I read a book in the 60's when I was a child. The narrator or main character arrives at an island, due to a shipwreck or some other disaster, and discovers a utopian society. The families there have taken on the letters of the alphabet as their last names (Mr. A, Mrs. B, etc.) There are only twenty families as there would be confusion if someone were named "U" (call out "Hey U," and everyone would react). I believe that is the reason why the narrator is told he cannot stay. Any ideas what book or short story this may be? but it looks like newer editions have a different one. The utopian island with the alphabetic families is Krakatoa, so things don't end well for their society. 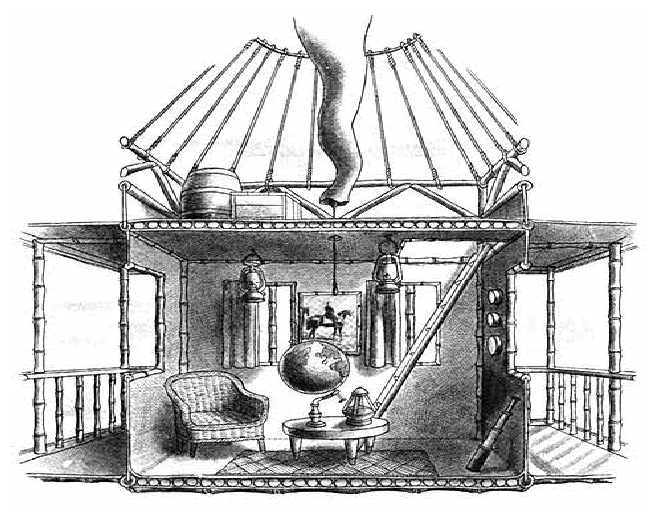 I loved all the detailed drawings by the author like this cutaway of the hero's balloon-lofted house. 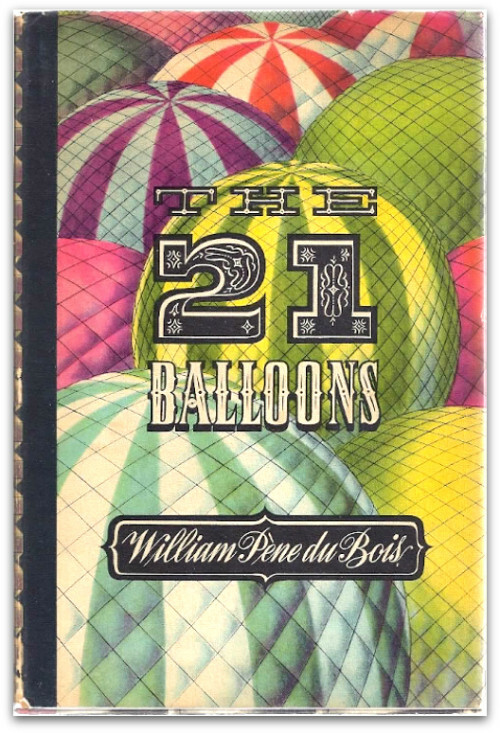 These books exhibit whimsical ingenuity in story and illustrations. Though not usually so classified, these books seem to qualify as science fiction.